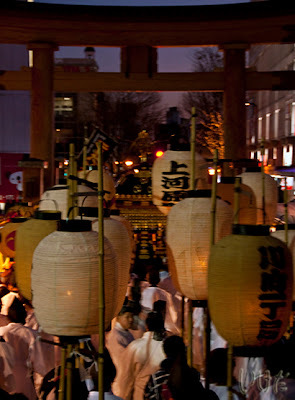 Otariya (春渡祭 or お渡祭 – according to the Encyclopedia of Shinto) is a very local, very minor festival. 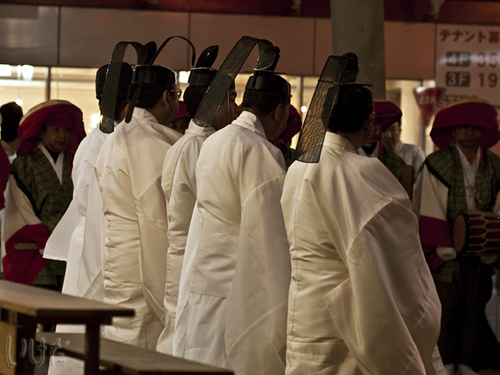 Not just Tochigi local, but Futaara shine local. Which means, it doesn’t happen anywhere else, but here. It does, however, happen twice a year – on December 15th, and then again on January 15th. 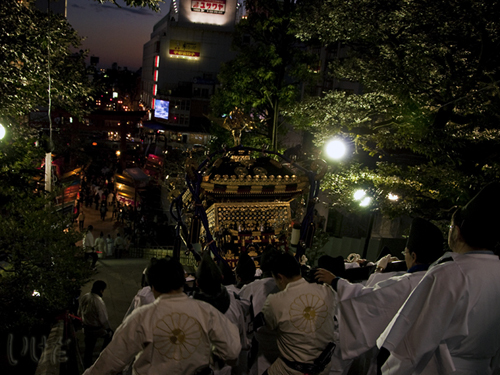 It started back in the year 838 (give or take a decade), when Futaara shrine was still located where the Parco department store is now. In December it’s supposed to signify crossing into winter, and in January - crossing into spring. But if you ask me, I don’t see any spring coming here anytime soon. It’s cold and our water pipes are frozen. 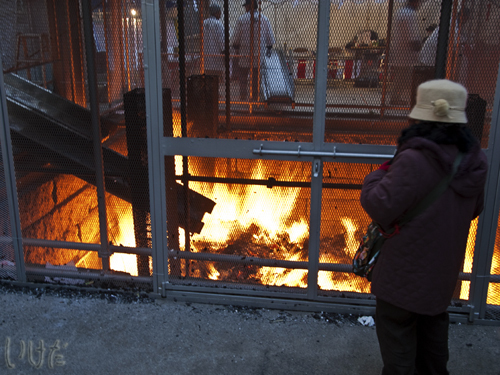 And personally, I think that goes a long way towards explaining why people burn things during this “spring” festival. Back in the olden days they were probably freezing to death and needed some ritual fire to warm up and stay alive. 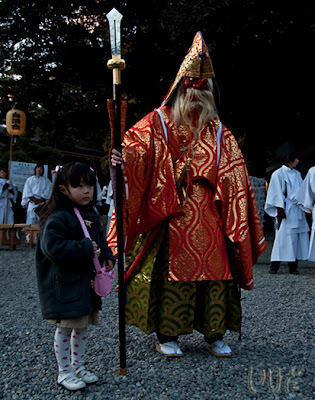 So much for Shinto mysticism. 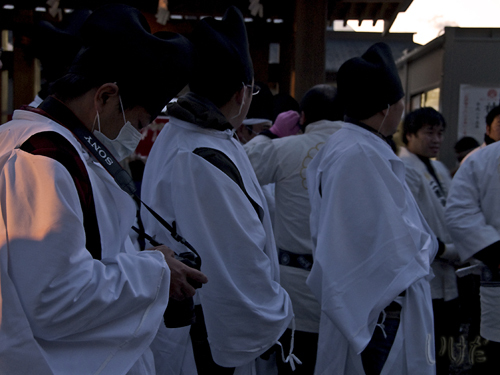 These days during otariya people burn their New Year’s decorations (and other old stuff, even old darumas) in the otakiage ceremony, the priests pray (or fiddle with their cameras), mikoshi is taken out for a walk downtown and dengakumai dancing is performed. And that’s basically it. 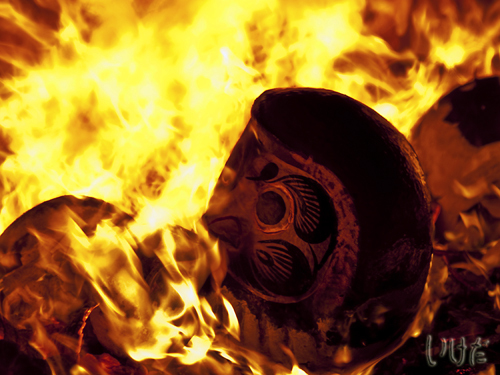 And oh yeah, people try to get themselves in the path of smoke from the fire, they believe it will bring them luck. So here it is: the “spring” otariya at Futaara 2010. Hey, he's an Alpha shooter - like me! To see more photos of this "spring" otariya" visit this post on our photo blog.